Recalls will be in seniority order by classification and qualification. Members not called back should file for unemployment. 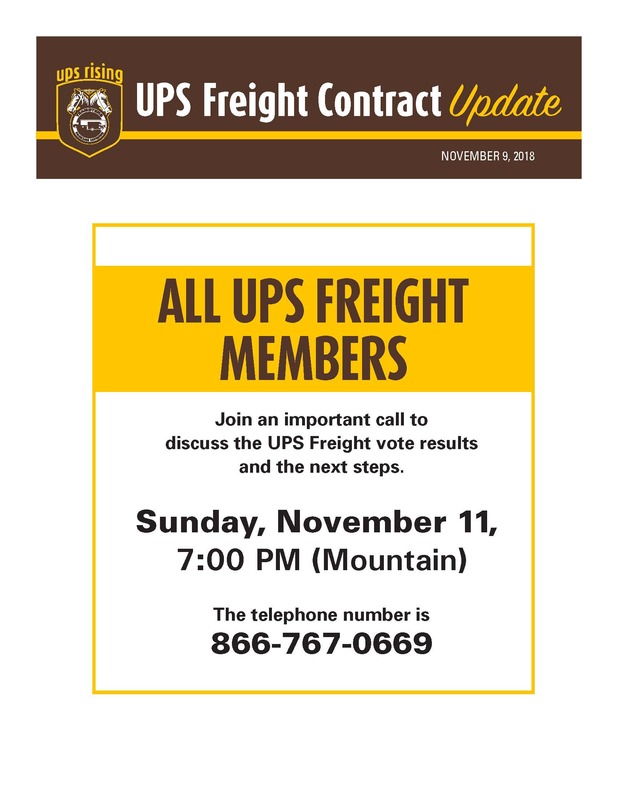 The IBT also recommends UPS Freight members not recalled apply at ABF or YRC ASAP as most locations are hiring. Tracy McCarty been in contact with Myrlon and UPSF will be working on the 11-12-2018. Myrlon will be in the office and start setting up schedules. If there are any questions contact Tracy at the office. Thank you to everyone that came out to witness the UPSF vote count and thank you to everyone that voted, Teamsters Local 492 had 100% turnout! The total for Teamsters Local 492 was 17 (71%) to accept the contract and 7 (29%) to reject.